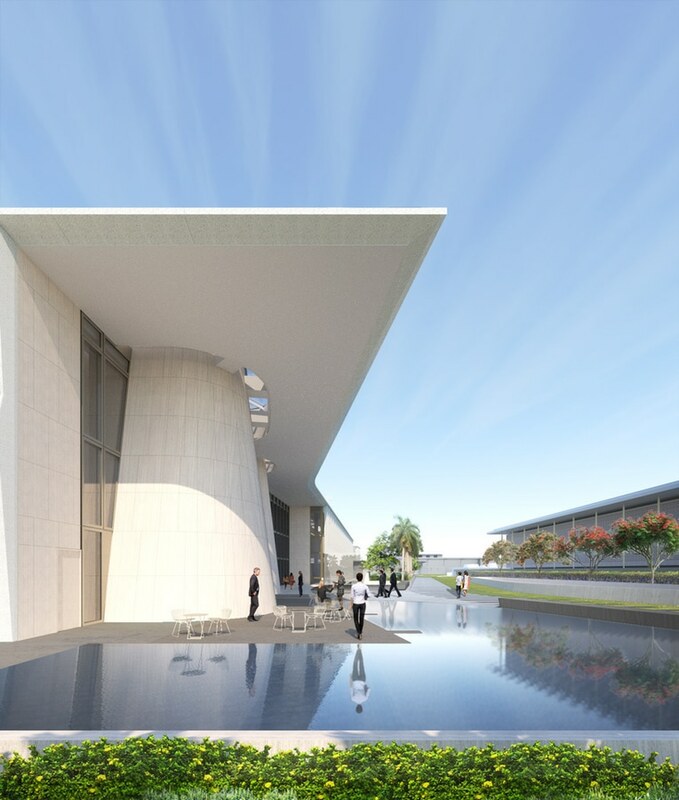 new york city-based practice, weiss/manfredi, has unveiled its masterplan for the US embassy building in india‘s capital city, new delhi. 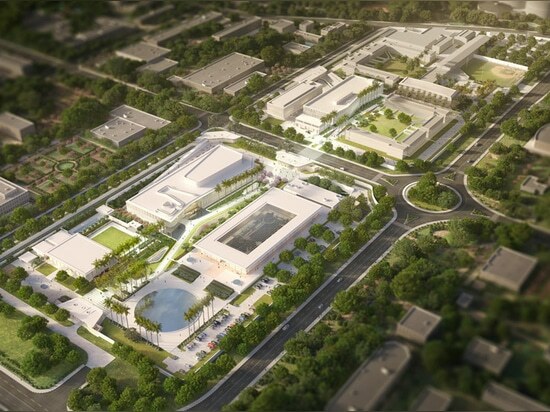 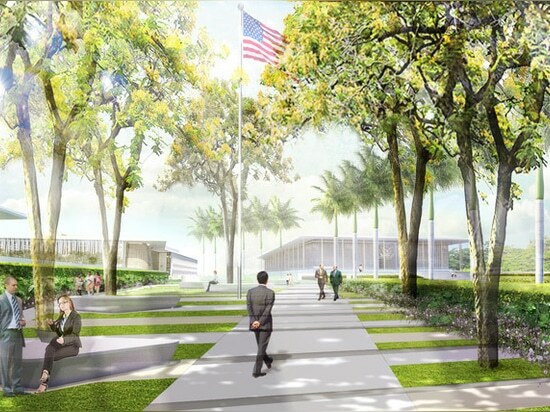 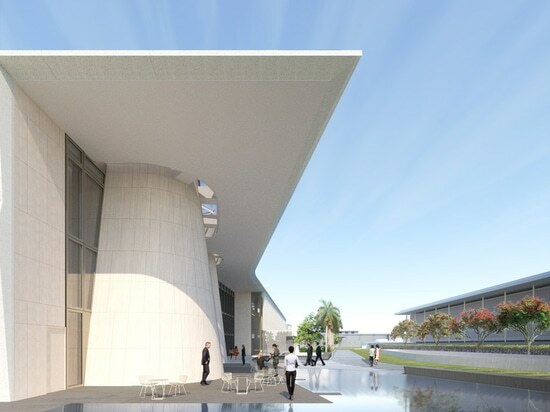 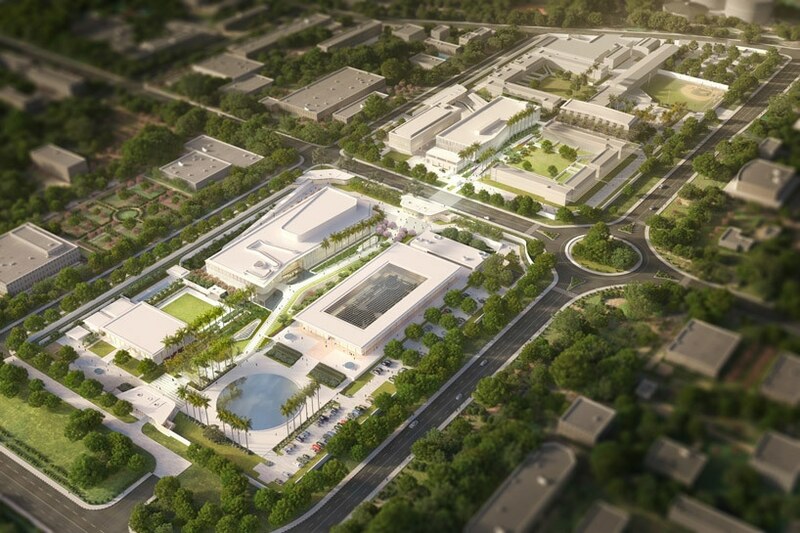 the project aims to reimagine the iconic embassy built by edward durell in 1959, and to create a new multi-functional complex that will build upon the legacy of the historic campus, facilitating a contemporary foundation for american diplomacy in the country. 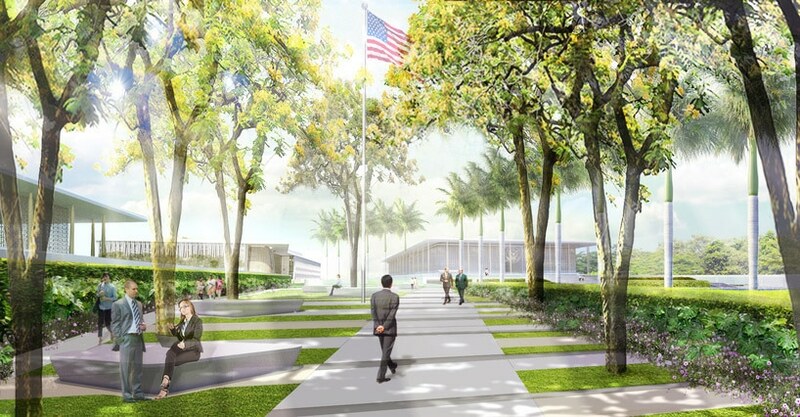 weiss/manfredi has developed a masterplan of the 28-acre site of the US embassy, the first phase of which will include a new office building, a support annex and a connected landscape, bringing welcome areas of greenery and shading. 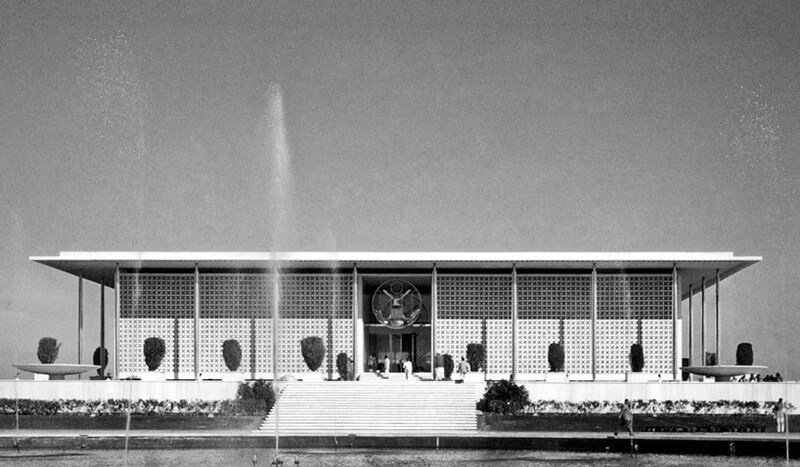 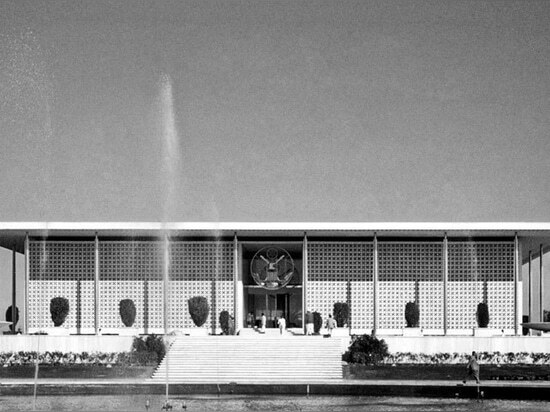 the scheme by the architect restores edward durell’s early modernist design of the chancery building, creating a vibrant hub for US diplomacy in india, while also defining a sustainable vision for the embassy’s future. 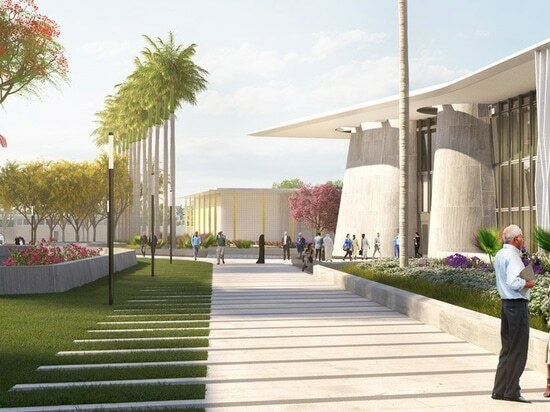 the scheme unveiled by weiss/manfredi is characterized by the use of landscaping to connect various functions and zones. 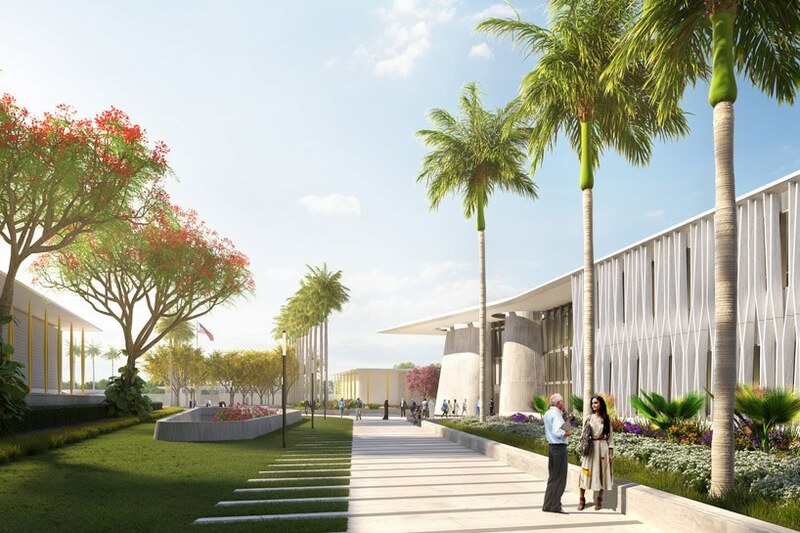 a tree-lined promenade links all new and existing buildings on the site, introducing reciprocal relationships between buildings and gardens. 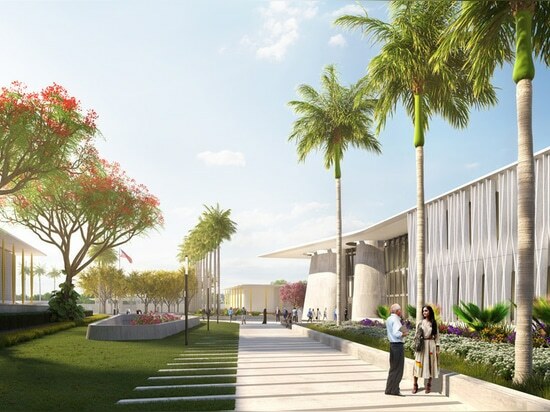 inspired by india’s enduring tradition of weaving together architecture and landscape, a series of cast stone screens, canopies, reflecting pools and garden walls introduce a resilient, integrated design language that brings the campus into the twenty-first century.